Have our experts advise you on how to get the best value on your Heavy Duty Rolling Ladders today. 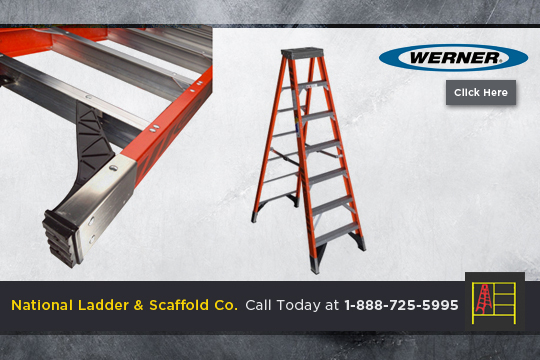 Because National Ladder & Scaffold Co. features a range of extra-durable, extra-strength Heavy Duty Rolling Ladders that are convenient and completely customizable to your specifications. Our inventory includes the entirely American-made Cotterman Series 2600, having a weight capacity of 450 lbs it’s a superior line of heavy duty steel safety ladders designed and constructed for extra heavy duty use, with extra bracing and heavier materials to resist damage. Unique features like sturdy “30 high handrails and large steps with no-slip great grip, give you maximum stability and safety. National Ladder & Scaffold Co.’s Heavy Duty Rolling Ladders also give you superior sure-footing and easy stepping because of features like comfortable climbing steps with easy climbing angles ranging from 50 to 59 degrees. Plus, durable easy-rolling 4” wheels make rolling your Heavy Duty Rolling Ladder from job to job a breeze. National Ladder and Scaffold Co. has the best Heavy Duty Rolling Ladders for the demands of your workplace, built with the best raw materials and craftsmanship. Because who needs a loading dock when you have a Hulk-like, super strength Cotterman Trailer Access Ladder with 800 lbs. capacity, ready to handle anything you bring on? Give us a call today at 888-725-5995! Only at National Ladder & Scaffold Co. will you find the best selection of Heavy Duty Rolling Ladders hand-picked by our experts for their top-of-the-line safety features, ease-of-use and superior weight-bearing performance. All Heavy Duty Rolling Ladders meet or exceed OSHA and ANSI standards and our demanding quality and safety specifications. Plus, all Heavy Duty Rolling Ladders are corrosion resistant, helping ensure your ladders from National Ladder outlast all others. Call National Ladder & Scaffold Co. today at 888-725-5995 and get the best value on your Heavy Duty Rolling Ladders with the best advice on how to do it. Because nobody knows ladders like National Ladder & Scaffold Co. so call us today for the best Heavy Duty Rolling Ladders on market and quality you can trust.